A little-known but serious medical condition is more common than you may think, and needs to be understood to prevent fatal results. Uremia occurs when the kidneys fail to function properly and toxic levels of waste gather in the bloodstream. It can happen with any disorder or disease that prevents the natural process of filtration or elimination through the urine. We will look at the signs to watch for and treatment to possibly reverse this critical condition. Also referred to as uremic syndrome, uremia is a result of the buildup of nitrogen waste products, causing the blood urea nitrogen (BUN) level to rise. The waste product, urea, is produced in the intestines and liver, and is normally expelled in urine from the body by the kidneys. In a bad state, the kidneys also cannot filter nitrogen waste, and high levels are then left to circulate in the blood. This can lead to complete kidney failure and death. Thankfully, if detected early, uremia treatment can prevent complications. What Are the Causes and Risk Factors of Uremia? There are numerous factors to consider when uncovering uremia causes. Basically, we must look at all conditions affecting the kidney as well as the treatments behind these conditions. This can refer to diseases that prevent the kidneys from performing their filtering functions. The uremia can be caused by medical conditions or issues that directly affect the blood flow volume or the condition of the blood itself. If you are concerned as to how you will know if you have uremic syndrome, take note of the following symptoms. These can come on quickly, and in some cases, be severe. As many uremia symptoms can be linked to different health conditions, a uremia diagnosis may consist of several tests. Doctors will first explore your medical history because any blood or kidney disorders can lead to this condition. A physical examination will take in the uremic symptoms reported, as well as look for signs of uremic frost on the skin surface and any changes of the eyes and mouth. To pinpoint the diagnosis, clinical tests are necessary. One critical test checks the creatinine clearance amount in the urine over a 24-hour period, which tells doctors how well the kidneys are functioning. Uremia is detected with low amounts, and accompanying signs may be nausea, vomiting, excessive thirst, fatigue, vision problems, muscle cramps, and confusion. Other tests to help with a diagnosis may include blood test, renal function test, and a blood biochemical profile. Uremia treatment requires hospitalization to properly care for the underlying health condition, targeting the kidney filtration function. This may be done with intravenous fluids, blood transfusions, fluid therapy, medication treatment, and hemodialysis. It is important to eliminate the potentially harmful amounts of nitrogen waste and promote normal blood circulation. Once the patient is stabilized, medical staff will take steps to prevent the buildup from reoccurring to protect the kidneys. The kidneys are assessed for any damage and possibly treated before a treatment plan of medication and diet management is started. Uremia is a serious medical state for those with conditions affecting the health of the blood and kidneys. Those at risk may face dangers beyond kidney issues, as it can become a concern for patients with related blood disorders such as infections or had recent surgery. While it is reversible if detected early, the condition can have devastating complications and lead to death. The symptoms are usually sudden and severe. Treatment begins immediately to remove the dangerous poison from the bloodstream; then, protective measures for the kidneys begin. Know the signs and take precautions to prevent uremic syndrome. “Uremia,” Health Grades; https://www.healthgrades.com/right-care/kidneys-and-the-urinary-system/uremia, last accessed May 8, 2017. 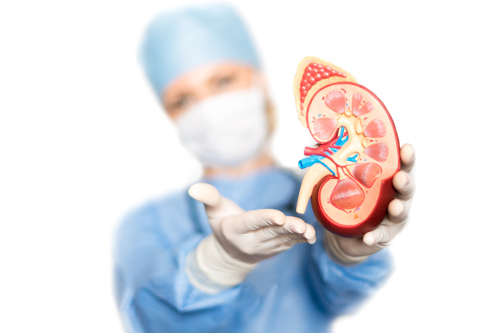 “What is Uremia? Causes, Symptoms, And Treatment Options,” ePain Assist; https://www.epainassist.com/systemic-diseases/uremia, last accessed May 8, 2017. “Uremia-Topic Overview,” Mayo Clinic; http://www.webmd.com/a-to-z-guides/tc/uremia-topic-overview, last accessed May 8, 2017. Alper, B., “Uremia Clinical Presentation,” Medscape, February 5, 2016; http://emedicine.medscape.com/article/245296-clinical, last accessed May 9, 2017.